Download our Project Roadmap to see exactly how one of our projects works — from the initial discussions to ensure our approach is the right one for you and your client, to the proposal and sales efforts, through development, fielding and sharing the research results. 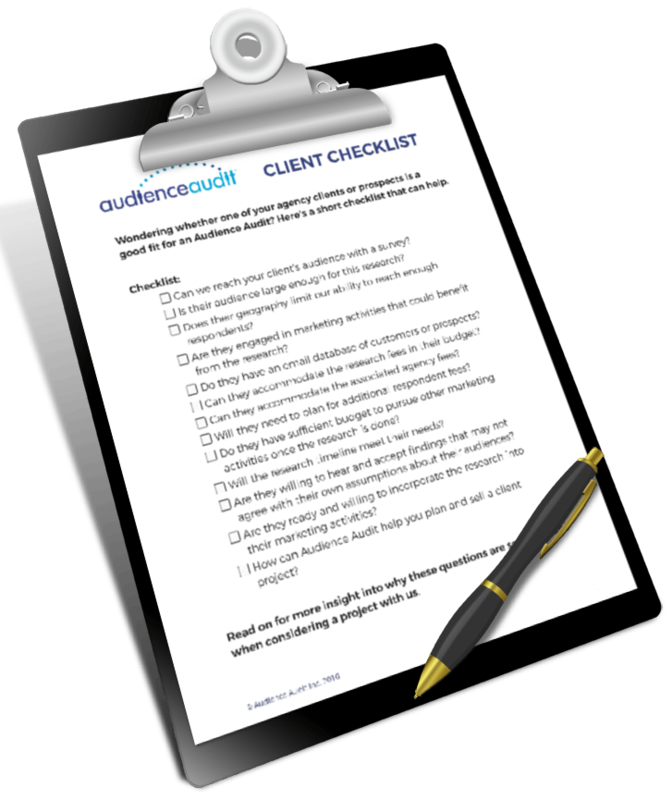 Download the Client Checklist to assess whether your client may be a good fit for our research. 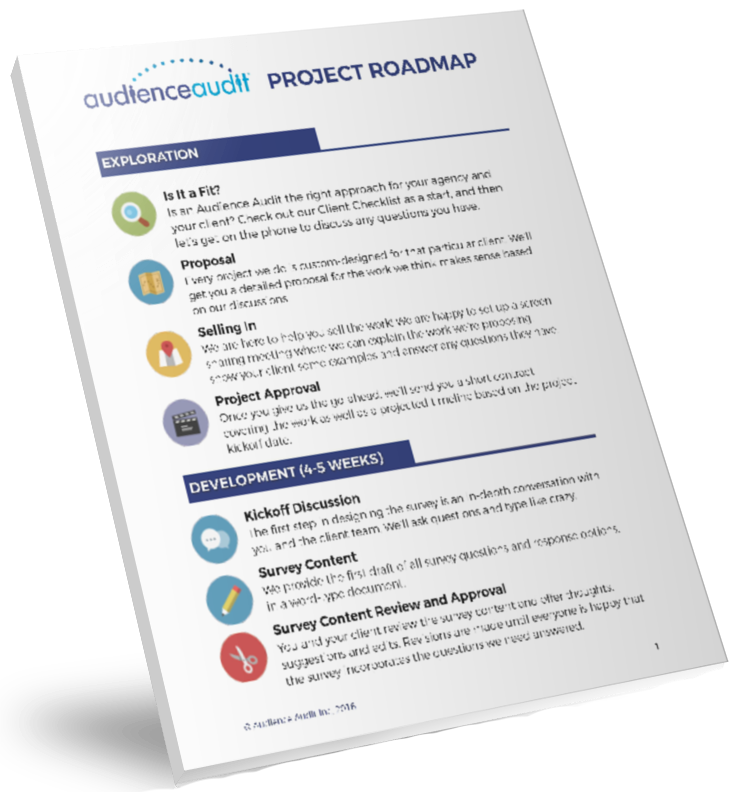 Download our FREE Project Roadmap! See exactly how our projects work to ensure our approach is the right one for you and your client! to assess whether your client may be a good fit for our research.